content that is tagged with that term, in reverse chronological order. to more precisely control content and sorting. 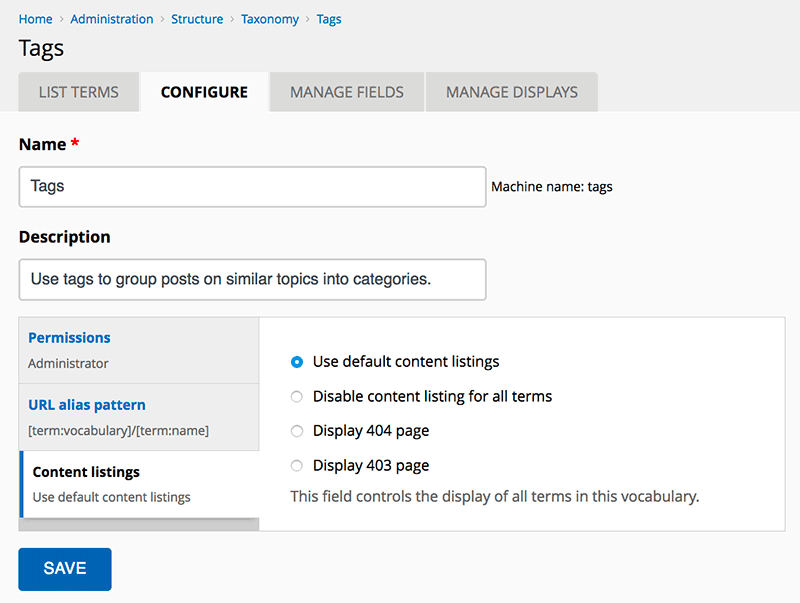 configuration page and clicking on the vertical tab for "Content listings". Maintained for Drupal (as Disable Term Node Listings) by Akeem Williams.